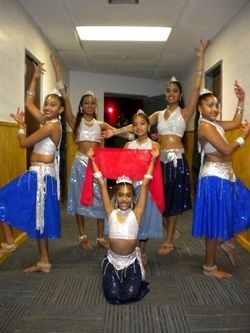 Indo-Caribbean Dance - J A Y A D E V I Arts Inc. - "Preserving IndoCaribbean Arts & Culture"
What is Indo-Caribbean Dance? Indo-Caribbean Dance forms are dances brought to the Caribbean from India by our ancestors. It is different dance styles merged together to form our unique style such as Rajdhar, Launda Ki Nautch, Chutney, and Soca Chutney. Chutney Dance or “Chaatnee” was a Bhojpuri Dance performed socially at festivals, weddings, births and to celebrate the fertility, cultivation and harvest of the land. It is a dance of romance and seduction with subtle and provocative elements, twists and curves requiring strong, physical endurance. Brought to the Caribbean from Bihar 165 years ago, the dance developed its own flavor and received its “hot and spicy” name Chutney in Trinidad where it is a leading dance style and includes new evolving styles like Soca-Chutney (Soul-Calypso-Chutney). Today, Chutney is danced for its sheer pleasure and excitement by people of all ages, gender and ethnicity. The unique chutney style at JAI has a classical foundation.